Finally .. a post from our trip. I can't believe that it's already Saturday. Time has just been flying while we have been here. Had a really nice three days in Hamburg. We took a 2-hour canal cruise, went to the top of St. Michael's Church where you have really nice views of the city and pretty much walked all over downtown. Had a really great Italian dinner in the Altona neighborhood as well. Friday morning we left Hamburg to continue to Luebeck, a really super pretty town about 40 min from Hamburg. Made a stop at the Niederegger Marzipan store (so many great things) and walked all around the old center. It's such a pretty historic town. From Luebeck we continued to Owschlag to attend my friend Lena's wedding. The wedding was at a small village church and the reception was held at a country bed+breakfast inn. Rural northern Germany is definitely very pretty. We had a good time at the wedding. Hopefully we will be able to meet up with Lena again on Monday to catch up some more. Today we left for Copenhagen/Denmark so that's where we are now. 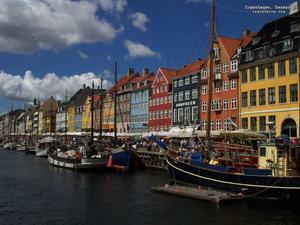 Explored the city center of Copenhagen today. 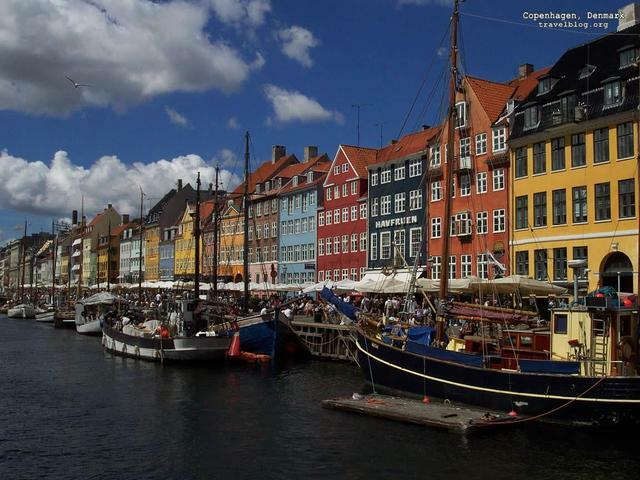 Went to see the Little Mermaid statue, the Amalienborg Palace, City Hall Square and Nyhavn. I really like Copenhagen so far. It's a very pricey but also very beautiful city. Tomorrow we are going to meet up with Tizz and Lotte. Then Monday it's back to Germany and Tuesday back to the US. Mail Update: Mailed letters on Tuesday from Germany to: Tizz/Denmark, Charles/TN and Alex/Germany. Received letters from/still owe replies to: Jetta/Finland. It sounds like you're enjoying another great trip. Thanks for posting the picture.